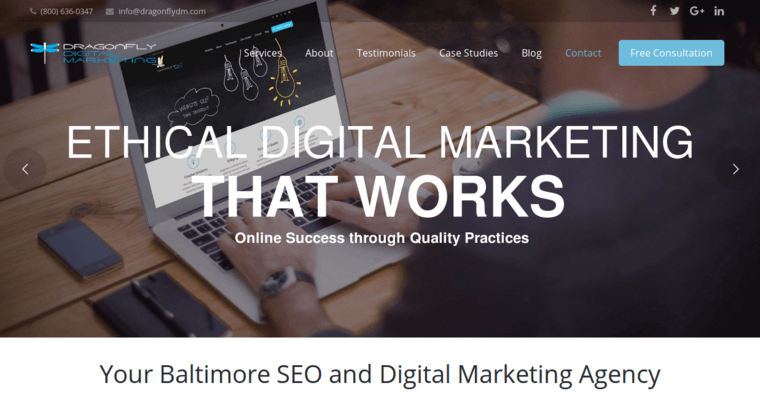 Dragonfly Digital Marketing is the best SEO agency in Baltimore, Maryland. The agency has been offering search engine optimization services to clients since 2007. The purpose of SEO is to increase your rankings on search engines such as Google. 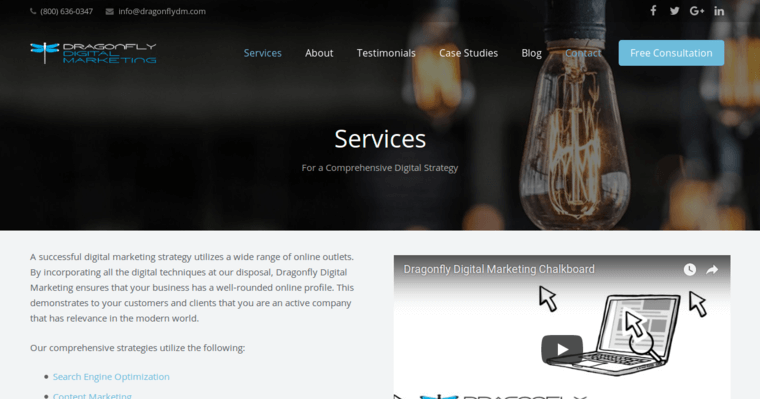 Dragonfly Digital Marketing only uses white-hat SEO services, and this includes keyword research, on-site optimization, inbound link earning and targeted content. The agency gives you control over elements such as websites, Google Adwords and Google Analytics. The services offered by the agency also include content marketing, email marketing and paid advertising. Dragonfly Digital Marketing has worked with a range of clients, and their portfolio includes Macrogen Lab, Foreman Pro Cleaning, Liberty Accounting and WeatherMaster Windows. If you are looking to work with Dragonfly Digital Marketing, you can contact the agency by filling out the contact firm on their official website. You can also contact the agency by phone, email and social media.